Earn Continuing Education Units from these HFSE Partners at the 2019 Event. IDCEC recognizes the Healthcare Facilities Symposium & Expo sessions as qualifying for continuing education credits. Each hour of educational content is equal to 0.1 CEU. For credit, obtain a form at the Information Desk onsite at the event, have your session(s) stamped by a room monitor as you leave each session and mail it to the address specified on the form. The Symposium is an AIA Registered Provider. Attendees may earn 1 Learning Unit per educational hour. For credit, obtain a CEU form at the Information Desk onsite at the event. Keep track of the sessions you attend and turn in your form at the information desk at the end of the show. Many sessions of the 2019 program will qualify for Health, Safety and Welfare (HSW). 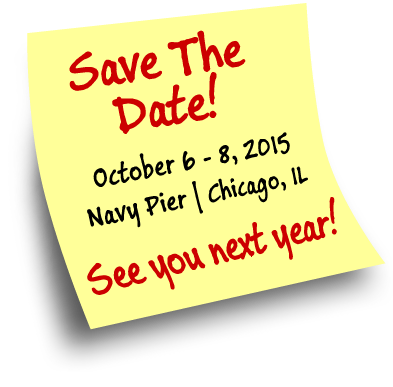 That means that you can get all 8 of your HSW credits for the year at the Healthcare Facilities Symposium & Expo! Attendees may earn 16.75 continuing education units by attending one conference session in every time bank offered and a facility tour. If you have any suggestions for accrediting organizations please email Jenabeth Ferguson at jenabeth@jdevents.com or call 203-371-6322 x213.